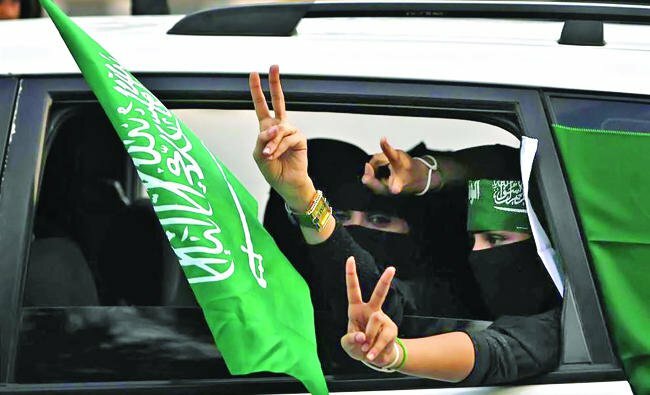 JEDDAH: The US on Tuesday led an international welcome for Saudi Arabia’s decision to allow women to drive. The historic move, ordered in a decree by King Salman, will see women get behind the wheel from June next year. “We’re happy to hear that,” said US State Department spokeswoman Heather Nauert. “It’s a great step in the right direction. We’re just happy today. A very positive sign,” she said. The decree, issued on the state-run Saudi Press Agency, said women in Saudi Arabia would be able to obtain driving licenses and drive cars. News of the decision became the top trending topic on Twitter, with many posts tagged #SaudiWomenCanDrive. The decree referred to the “negative effects of not allowing women to drive vehicles, and the positive effects envisaged from allowing them to do so” within the context of Islamic law. The decree also pointed to the fact that the majority of the Council of Senior Scholars agreed that women driving was not prohibited by religion, and therefore they did not oppose allowing them to drive in principle. “The scholars see no reason not to allow women to drive as long as there are legal and regulatory guarantees to avoid the pretexts (that those against women driving had in mind), even if they are unlikely to happen,” said the decree. 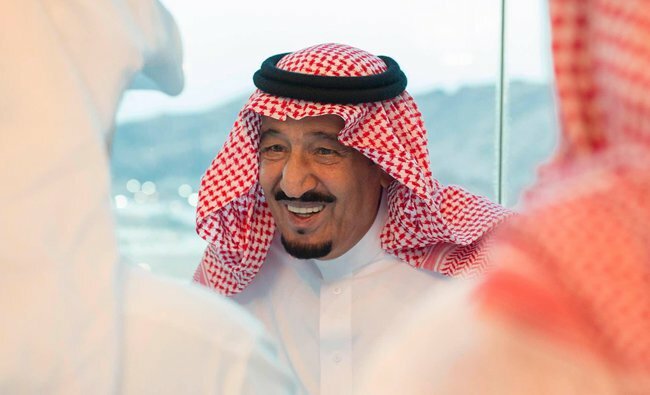 The king instructed the Interior Ministry to apply traffic regulations, including the issuance of driving licenses, equally to both men and women. The move was announced on television and also by the Saudi Ministry of Foreign Affairs, with the royal decree mandating the creation of a high-level committee of ministries (including the Interior Ministry, Finance Ministry and the Labor and Social Development Ministry) to study the necessary steps needed to implement the regulations. “The committee must submit its recommendations within 30 days. The implementation - God willing - will be from Shawwal 10, 1439 (corresponding to June 24, 2018) and in accordance with rules and regulations, and the completion of the necessary steps,” said the decree. In Washington, Saudi Ambassador Prince Khaled bin Salman described the decision as a huge step. “It’s not just a social change, it’s part of economic reform,” he said. The reaction within Saudi Arabia was swift and emotional. “I am on top of the world,” Lina Almaeena, a Shoura Council member, told Arab News from Bern, Switzerland, where she is part of the official Shoura Council delegation to Switzerland. Almaeena said the decree allowing women to drive was part of Crown Prince Mohammed bin Salman’s Saudi Vision 2030. It was about women’s empowerment and equal opportunities for men and women, whether in the work force or anywhere else, she said. Almaeena said there was a general expectation that Saudi women would be allowed to drive. “But were we expecting this decision tonight? No, this has come as a very pleasant surprise,” she said, thanking King Salman and Crown Prince Mohammed bin Salman. Samia Al-Amoudi, a prominent businesswoman and breast cancer survivor in Jeddah, told Arab News: “The idea of women’s empowerment would have remained incomplete without allowing women to drive. Italy’s Consul General Elisabetta Martini also welcomed the decision. “We want to congratulate all Saudi women on this opportunity given to them by the king. We wish them safe driving,” she told Arab News. “Really about time,” she said. The issue of women driving has been the subject of debate in Saudi Arabia for many years. “The Kingdom’s leadership has determined - correctly - that the time has come for it to be resolved,” said Fahad Nazer, international fellow at the Washington-based National Council on US-Arab Relations.